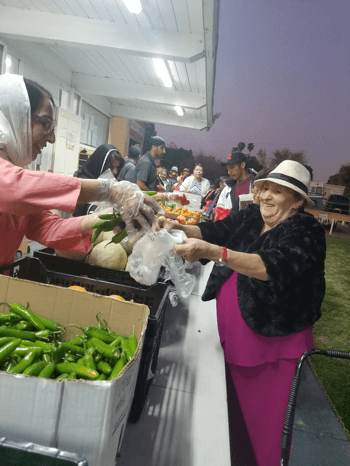 Khalsa Food Pantry celebrated its two year anniversary this October! 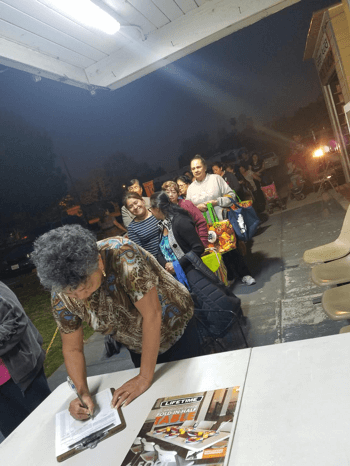 Since the pantry opened it doors in Pacoima, CA, we have served over 100 families per week with a variety of food items. Our volunteers are the fuel behind the success of the pantry. 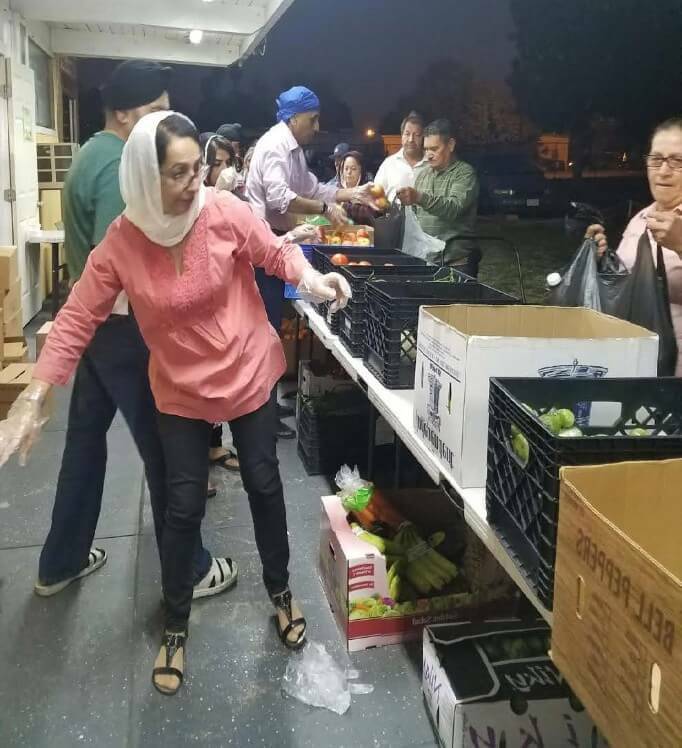 As a result of their consistent efforts, Khalsa Food Pantry has become a recognized name and resource in the San Fernando Valley. Khalsa Food Pantry is a grassroots organization in Los Angeles, CA that provides food assistance to low-income families. Our sole motivation is to implement the message of Guru Nanak to help anyone in need. The food pantry is open every Friday from 6:00pm-7:00pm. Food items distributed include canned goods, rice, beans, juices, bread, and produce. Each week, food is picked up from a regional food bank, donations are received from local farmers and local businesses, and food is purchased by our organization in order to serve those in need. We are located at Khalsa Care Foundation Gurdwara in Pacoima, CA and every dollar goes to towards the purchase of food! We welcome volunteers of all ages to sort, organize and distribute food to families in need and be a part of this special opportunity in tackling hunger in our city. We are also more than grateful for any monetary donations, food donations or sponsorships. With your tax-deductible donation, we will be able to sustain the provision of food for the families that come into our pantry, and expand further to create a space for future tutoring programs and a free health clinic. KCF Food Pantry wants to personally thank you. Without your support, we would not be able to provide the food that we do. This year, KCF Pantry has grown in quality and number. We serve an average of 70 families a week. No matter what the weather, rain or shine, families are always here. With your support, we have been able to provide fresh fruits and vegetables every single week. The smiles that form on the families’ faces with they see the variety is beyond words. Once again, we thank you for your continuous support. Harbinder, better known as Binde, always makes time out her busy schedule to come to a pantry.Mother of 3 and business owner, Binde come early every Friday to take inventory, sort out the produce, and keep everything flowing smoothly. There is not a moment where she is doing nothing. We are lucky to have her in our Food Pantry! Please consider making a donation to help Khalsa Food Pantry reach its goal. A donation of any amount goes a long way to support the work being done. Thank you for empowering and fueling the work of the Sikh sangat!